Mailbox, the email inbox management app for iPhone that was released in beta this week, currently has around 700,000 users queuing up for access, at the time of this writing. That’s according to the in-app counter that many of us have been staring at on and off for days now, which tells you how many people there are still ahead of you in line for the app, and how many people are joining up behind to wait their own turn. It’s ostensibly a mechanism to help Mailbox’s servers manage the tremendous demand put upon them by users, though some believe it’s a marketing ploy designed to increase demand. Others think it could be an obnoxious experiment in human behavior. I’m inclined to believe that the Mailbox creators are truly looking for a more efficient and effective way to bring a server-intensive app online in a way that doesn’t result in huge outages, but intentionally or unintentionally, Mailbox is breaking new ground in virtual experiences that others have tried to explore with arguably less successful experimental games. The Mailbox queue is in itself an experience, apart from the app itself, which is highly regarded according to most reviewers. It’s probably the app I open most frequently on my iPhone at the moment (besides another project currently in development with some oddly similar mechanics). That despite the fact that there’s nothing to actually “do” for the time being: I open the app, a counter ticks down and another ticks up, I close the app. Still, even that simple act of repeatedly opening and closing the app represents more engagement than I can muster for around 90 percent of the other titles currently gracing my iPhone’s home screen. Compare that to Peter Molyneux’s recent exercise in patience for mobile devices, Curiosity. The app, built by Molyneux’s new 22cans studio, features a mystery wrapped inside a cube, which is chipped away gradually by all of the app’s users working in tandem to unlock the ultimate secret. Molyneux’s game has interactivity, an end goal that should be more exciting since it’s cloaked in secrecy, and manages to not simply replicate the experience of standing in line. Yet I’ve opened it exactly no times in the months following my initial exploration for a launch article. One part of my interview with Molyneux at Curiosity’s launch stands out as extremely telling, and in retrospect, it foreshadows Mailbox’s current success. Molyneux said that in developing Curiosity, the 22cans team found that, by and large, players were content to just sit and watch while others did the work, and that they had to come up with tricks and incentives to convince those lurkers to participate. These “idle” players greatly outnumbered the active ones, so it stands to reason that Mailbox’s virtual queue, which is essentially exclusively about passive participation, would work so well. Other games have experimented with delayed gratification, including the excellent The Heist by the team behind the MacHeist bundle. What’s interesting is seeing that concept applied to a productivity apps, and to see that implementation received as well as it has been. Sure, there’s been some groaning about the absurdity of having to wait for an app, both on Twitter and in the App Store reviews for Mailbox, but I’d argue that as vocal as complainers have been, there’s still more demand for the app than anything else. So does that mean a participatory wait list becomes a staple of mobile app development? 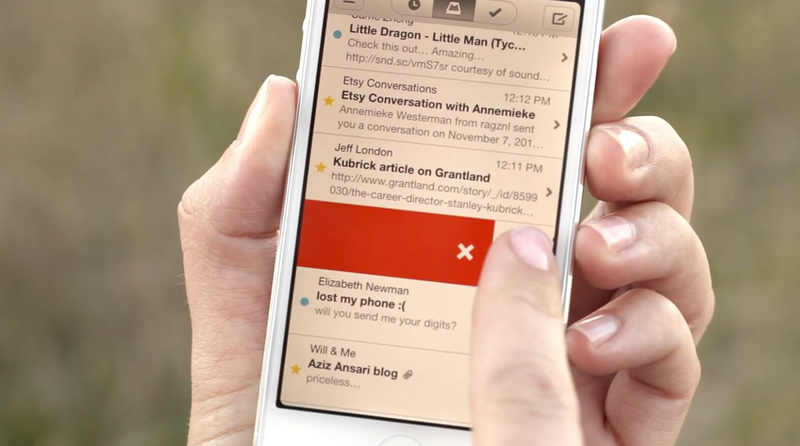 Don’t count on it; Mailbox benefitted from a unique blend of pre-launch hype, good design, and working in an area where people are immensely frustrated with existing solutions (i.e. email). But like Curiosity and The Heist before it, the example of Mailbox adds another data point to how software developers might use delayed gratification to engage users, and that could have interesting ramifications for the future of apps.